Human and Environment Union invites you to enjoy a fascinating concert. The event will take place at Baku Music Academy on February 28 at 19:00. The projects will bring together young talents Alp Aliyev, Fagan Hasanli, Mahir Taghizade, Ulviyya Kazimova,Gulnara Karimova,Jeyhun Azizov, Fatima Aliyeva, Ayten Ibragimova, Emil Ahmedzade,Nariman Amiraslanov, Nigar Familsoy, Mustagil Balayev, Chinara Bakhshiyeva. The winners of international competitions will perform the music pieces of Azerbaijani and foreign composers. In addition, Lumineux Chamber Choir will delight the audience with its performance. The works of young sculptors will be exhibited as part of the project. Artistic director is Naala Baratelia. 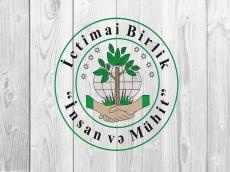 Azerbaijani Union "Human and Environment" aims at protection of the common interests of its members and achieving the goals stipulated by this charter on the basis of joint activities. The activities of the Union include the support and development of both traditional and innovative art trends objection and the development of folk culture, organization of creative meetings of the oldest cultural figures and creative youth in order to transfer the best traditions and experiences of domestic and foreign culture, etc.